Which Cruise Lines Sail to Bermuda? When most of us picture warm-weather cruises, we envision the Caribbean. But there’s another pseudo-Caribbean destination that often gets overlooked due to its location in the North Atlantic, and that is Bermuda. 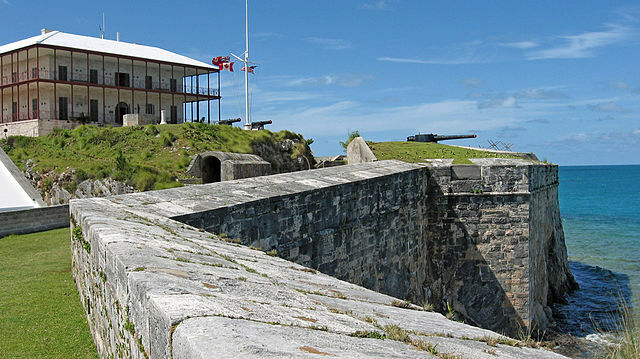 [/media-credit] Bermuda’s Royal Naval Dockyard is close to the Commissioner’s House, pictured here. Located roughly 640 miles off the coast of Cape Hatteras in North Carolina, the British Overseas Territory of Bermuda offers much for cruise travelers to enjoy. Its capital, Hamilton, features Caribbean style interspersed with European and North American influences that combine to create a city and atmosphere entirely unique to Bermuda. Unlike Caribbean cruises that usually call on several ports of call during the span of a single week, cruises to Bermuda typically stay docked in either Hamilton or nearby King’s Wharf for multiple nights before returning across the Atlantic to their home ports. It is impossible to be bored in Bermuda, with multiple UNESCO World Heritage Sites to explore and miles of the country’s famous pink sandy beaches to relax on. Bermuda is also a prime destination for snorkel and scuba trips, and multi-overnight stays are the perfect way to experience as much of Bermuda as you can. Cruises to Bermuda, however, aren’t as abundant as they are in its more southerly Caribbean counterpart. Here’s a look at who is sailing regularly to the island in 2016. It’s not to say that these are the only lines that visit Bermuda (some may stop here as one-off voyages throughout the year), but these are the lines that sail to Bermuda regularly. 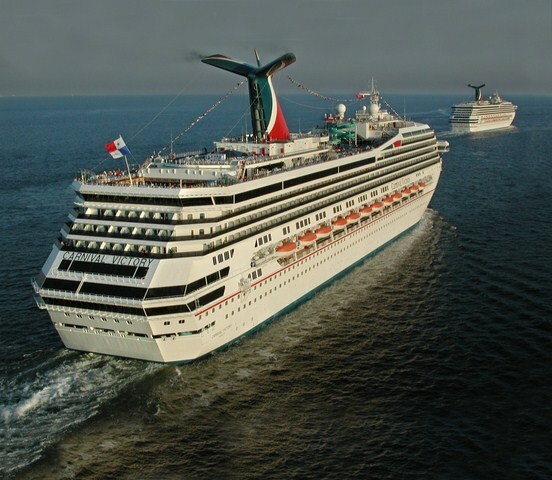 [/media-credit] Carnival Victory, seen here with fleetmate Carnival Destiny. Carnival Cruise Lines returns to Bermuda in a big way in 2016, with ten different departures aboard five different Carnival “Fun Ships.” Departure ports include Baltimore, Charleston, Miami, New York, and Port Canaveral (Orlando). Carnival Pride: five-day cruises from Baltimore departing April 10 and Oct. 26, as well as seven-day voyages departing Sept. 4 and 18. Carnival’s five-day voyages feature a single overnight call at King’s Wharf, while week-long voyages feature two overnights in Bermuda. Eight-night voyages remain docked in King’s Wharf for three consecutive evenings before heading back across the Atlantic. 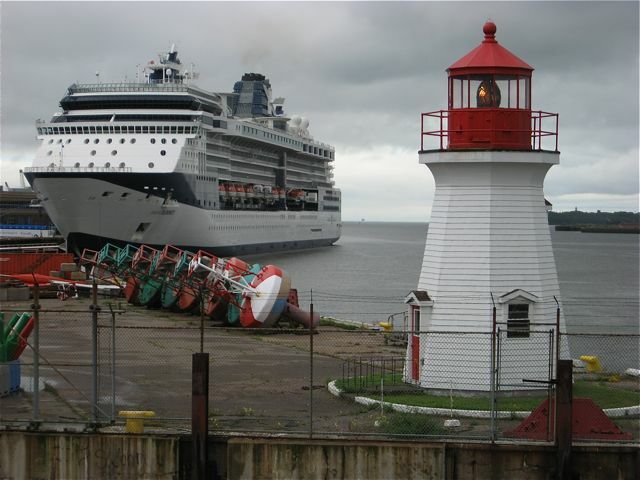 [/media-credit] Celebrity Summit docked in one of the “classic” Canada & New England itinerary ports of Saint John, New Brunswick. Historically, Celebrity Cruises has long called on Bermuda, and 2016 is no exception. Between May and August of 2016, the 2,158-guest Celebrity Summit will sail week-long departures from Cape Liberty (Bayonne), New Jersey to King’s Wharf. She will remain docked for three days and two nights before setting sail for Cape Liberty once again. Celebrity Summit’s Bermudan itineraries feature two sea days en-route to Bermuda, and a single sea day on the return to Cape Liberty. [/media-credit] Holland America’s Veendam sails to Bermuda in 2016. In May and June of 2016, Holland America Line is sending the 1,350-guest Veendam on a series of week-long voyages to Bermuda that can also be combined with a week-long voyage to Canada & New England, creating a 14-night journey that combines two very different but no less fascinating destinations in a single cruise. 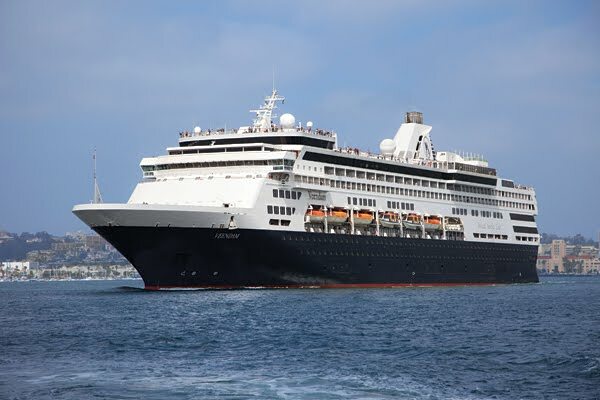 Holland America has a built-in advantage in sending Veendam to Bermuda: thanks to her relatively small size, she can dock right in Hamilton, Bermuda and avoid King’s Wharf altogether. For guests this a huge advantage, as it eliminates the need for time-consuming shuttles or costly taxi cabs. Veendam has another advantage: She spends four days and three full nights docked overnight in Hamilton, giving guests more time to explore than most comparable itineraries on other lines. 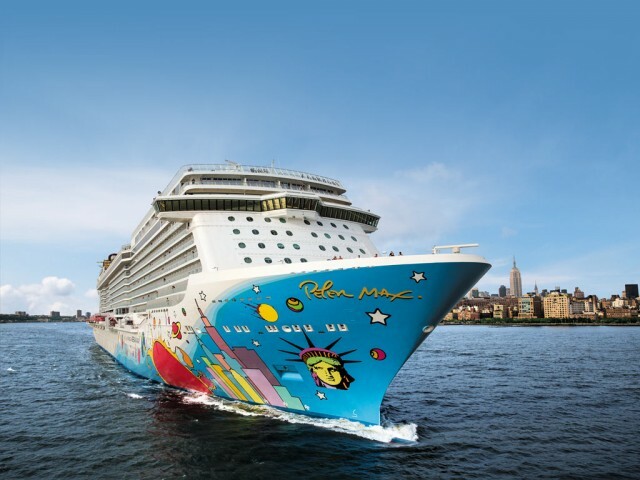 [/media-credit] Norwegian Breakaway sails from New York’s Manhattan Cruise Terminal for Bermuda. Norwegian Cruise Line’s trendsetting Norwegian Breakaway sails week-long roundtrips to Bermuda between April and October of 2016. Embarking from the Manhattan Cruise Terminal in New York, these week-long voyages spend two days sailing the Atlantic Ocean en-route to Bermuda, followed by three days and two nights docked at King’s Wharf. A single day at sea concludes the trip as the Norwegian Breakaway sails for New York. Between June and October of 2016, the smaller Norwegian Dawn will cruise to Bermuda roundtrip from Boston on seven-day trips that feature three days and two nights at the Royal Naval Dockyard near Hamilton. A single day at sea precedes arrival in Bermuda, while two days at sea offer guests the chance to enjoy Norwegian Dawn before she arrives back in Boston. Both voyages can be combined with either sailings to the Bahamas and Florida, or a voyage to Canada & New England, on select departures throughout the season to create a voyage 14 days in length. [/media-credit] Anthem of the Seas will sail to Bermuda in 2016, along with her older fleetmate Grandeur of the Seas. Shown here is Anthem sister-ship, Quantum of the Seas. 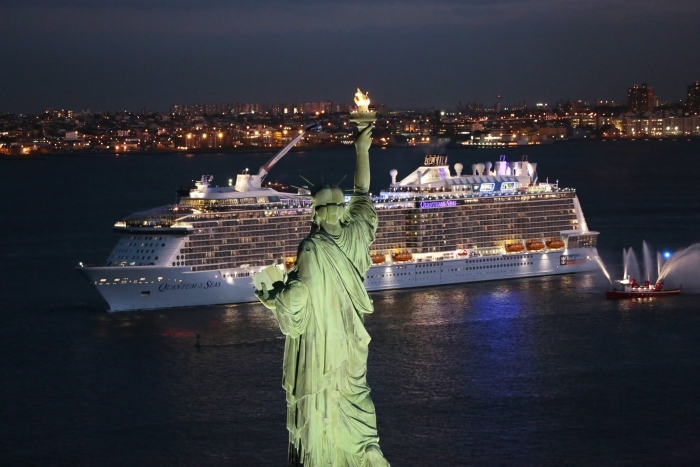 The brand-new Anthem of the Seas, sister-ship to Quantum of the Seas, is first out of the gate with a program of five-night voyages that depart from Cape Liberty (Bayonne), New Jersey. They feature one day at sea, one night and two days in Hamilton docked at King’s Wharf, and a single day at sea on the return to New Jersey. Joining Anthem of the Seas is the venerable, 1996-built Grandeur of the Seas, one of the last members of Royal Caribbean’s six-ship-strong Vision Class that was prized for its numerous floor-to-ceiling windows and sweeping vistas that graced nearly every public room onboard. Departing from Baltimore, Maryland, Grandeur of the Seas operates five-night sailings with an itinerary mirroring that offered aboard the much-larger Anthem of the Seas. But Royal Caribbean did a smart thing by offering two very different classes of ship on the same run: they gave a wide swath of experienced and novice cruisers alike two exciting ships to choose from, enabling travelers to pick the vessel that best suits their personality without compromising on destination. If you haven’t cruised to Bermuda before, 2016 is shaping up to be a good year to give it a try.